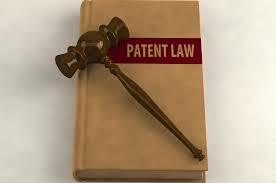 This guest post was written by Adam Bruno, a registered patent attorney practicing in Boston. Adam is associated with BayState IP, a law firm specializing in intellectual property law, including patents, trademarks and copyrights. Mr. Bruno is admitted to practice in the Commonwealth of Massachusetts, the U.S. District Court for the District of Massachusetts and the U.S. Patent and Trademark Office. At least once in everyone’s life they have that creative moment where they believe they have come up with something special, namely an invention. Whether it’s a new product or a unique service, most inventors usually develop ideas as a result of an everyday problem they have to deal with and yet the solutions available to them are not optimal, and thus they invent something that fills this gap. For most of us this is where the dream ends and the idea is nothing more than a fleeting moment. However, there are those of you out there that do not give up as easily and decide to pursue your invention beyond the initial idea. Once you have come up with your brilliant idea, what should you do? Initially, you should determine how much you have developed this idea and whether it is simply a concept at this point or if you know how you would want your new invention to work. If your idea is still in the concept stage, then you should begin to develop the idea in more detail. In asking yourself whether you have an idea or an invention, many first-time inventors are surprised to learn that ideas or concepts alone are not able to receive patent protection from the United States Patent & Trademark Office. Ideas that only address a problem to be solved without specifically discussing how the machine or method works are considered abstract ideas that are not subject to patent protection. Therefore, it is vital that an inventor understand the difference between ideas and inventions (i.e. specific machines, materials or processes that can be patented and protected). It is essential throughout the development process, from idea to invention that as the inventor, you take all steps necessary to keep your invention confidential until you at least submit a Patent application and are considered “Patent Pending”. The consequences of publicly disclosing your idea to others or offering the product or service for sale may impact your ability to seek patent protection. Therefore, if you are content to simply market the invention, you should be comfortable with the fact that without any type of patent protection your invention may be subject to copycats, leaving you without any recourse to stop these competitors from placing their similar product on the market. In addition to maintaining confidentiality, another key aspect to understand relates to ownership of the invention; it is imperative to determine who the inventors are at an early stage to avoid any issues down the line when it comes time to file a patent application. First and foremost, if your invention relates to your job or was created at work with company resources then there is a good chance your company would own the invention based on your employment contract. Alternatively, if you created your invention outside of your work and it does not relate directly or build upon company products/services, then it is likely you would be the inventor and owner of the invention. If your device is mechanical, electrical or software based, depending on your technical background and ability to design the invention, you may need to employ the services of an engineer or programmer to provide. If you need to hire an engineer or programmer to create a prototype or at least provide you with you with any technical expertise required, then it is imperative to have them sign a non-disclosure agreement and work-for-hire agreement to ensure you retain all ownership of the invention and the invention is kept confidential. However, it is important to note, that should you choose to attempt to protect your invention through a United States Patent Application, you are not required to create a prototype prior to filing as long as you are able to fully describe how to make and use your invention. At a minimum, it is a worthwhile endeavor to undertake some research to become familiar with the field of your invention and at least conduct a cursory search online for any similar products that may exist that would either be competitors to your product or are very similar in design and function to your proposed product. Inventors sometimes fall under the false impression that because their invention is not commercially available or sold in a store, then no one else has ever conceived or their invention or something similar. In fact, the United States Patent & Trademark Office alone has granted almost 8 million patents, many of which the products have never been commercialized for a variety of reasons. As such, a patent search helps to avoid a situation where an inventor simply files an application without the benefit of a search, and much to their disappointment, a Patent Examiner subsequently discovers a patent almost identical to their invention. An inventor should view a patent search as an initial assessment of “patentability” for their invention, specifically if the search reveals a similar idea, the inventor may weigh the risks associated with moving forward, modifying the invention or simply choosing to abandon the idea before further time and money is invested. Finally, at this stage, once the invention has been carefully developed and documented, and if a “patentability” search reveals no direct conflicts, then it is up to the inventor to determine whether they should seek patent protection or simply try to market and sell the product. A provisional patent application provides for an inventor to receive a filing date by submitting a disclosure of the proposed invention to the Patent Office. However, it is important to understand that a provisional application does not undergo any type of formal examination and expires (1) year after filing. Provisional applications do not issue as a patent but rather serve as a basis for filing a Utility application, wherein an inventor may rely on the provisional filing date later. A non-provisional Utility Patent application is a formal application designed to protect the structure and functionality of an invention. A Utility application undergoes formal examination to determine whether a proposed invention meets the criteria for “patentability,” namely that the invention is useful, novel and non-obvious. A Utility application possesses formal and substantive requirements for submission which include a technical description of the proposed invention, along with professional patent drawings and a set of claims that define the scope of the proposed invention. Furthermore, the description of the invention must satisfy the “enablement” requirement; in other words the standard is whether one of ordinary skill in the field would be able to pick up your patent application and actually practice (i.e. make and use) the invention. An inventor may satisfy the enablement requirement with or without a prototype depending on if the inventor is able to describe fully in writing with associated drawings how to make and use the invention. This description should include the novel aspects of the invention, including improvements over the existing technology in the field, how all of the elements of the invention interrelate and work together. A design patent application is a formal application designed to protect the ornamental appearance of an invention. As with a Utility application, a Design application is examined to determine whether the proposed appearance of an invention is both novel and non-obvious. A Design application contains formal drawings showing different views of the invention accompanied by short description of the views shown. In the end, seeking patent protection for an invention is an important consideration for any inventor, and moving forward with an application must be given considerable thought. However, whether or not an application is ultimately filed, following the above steps will provide an inventor with the tools to necessary to make an informed decision regarding their invention and how best to gain protection. 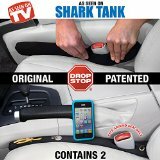 5 Tips: How to Get a Shark Tank Product on Store Shelves! What ever happened to Queenie Davis and Boot Illusions? Thanks for going over the basics of patent law. I didn’t realize that there three different kinds of patent applications depending on the situation. I have a friend who is trying to come up with his own invention but is still working on the “patentability” of it. I am going to share this article with him and hopefully he will be able to use this information soon. Thanks for sharing.